Winter is coming, ah yeah still couple months before it hits but is it okay to check for a new style? Winter Fashion 2016 and 2017, Thick clothes, gloves, boots, hot chocolates, and wait... thick clothes? With the same colors? Maybe you have to try new colors in the end of this 2016. People believe that warm colors will make winter warmer but what if we want to try some rainbow colors that remind us of spring? Why? White dominates in winter, so it will be great to make it more colorful. If we talking about the fall season, then it comes as no surprise to see timeless trench coats in spades down the streets and if it is about trench coats, then Warm Taupe is sure to be up hill and down dale. Fall winter 2016 fashion trends reassurance-emanating color that has embraced the fall/winter runway shows many a time and oft is neutral Warm Taupe, characterized by Pantone as trusted, organic and grounded and approachable enough to be matched with each of the nine colors on the list. What we can try? First the coats and your jackets. 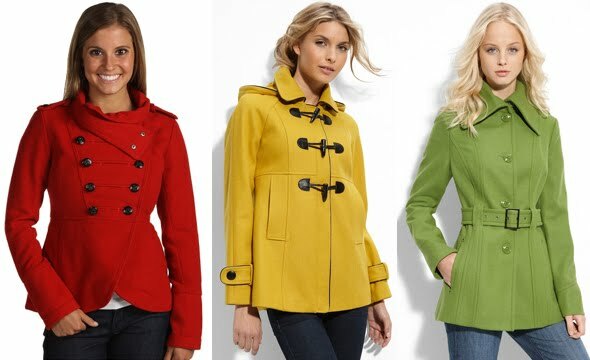 Try bright maroon or yellow to brighten up your day. It is okay to use cyan, orang, or lime green. Next, your scarf and gloves will perfect you with the same tone. Co can choose one from the listed colors above as your companions in the white days. And how about the hat? It’s okay to use wool hat with lot of colors or with single color. Finally, you are ready for winter with new colors, take your camera and you will look great between the snow. Don’t forget to find your santa hat on Christmas day. Winter is coming and let the colors blooming!